My Dad has been "doing the family tree" on and off since I was a teenager. I remember him having long conversations with my granny on Sunday afternoons when we used to visit her in Clontarf. I think we still have the roll of engineering graph paper on which he drew his first version of the tree. It's up in the attic somewhere. I joined the fray about 2006 and quickly became addicted. I've been an avid genealogist ever since. I first tested in 2008 and have since used DNA to trace one line of my family (the Spierin line) back to the 1600's in Limerick. I also made some astounding discoveries about my Morgan line which has opened up a whole new avenue of research. I write about DNA for a variety of genealogy magazines including Irish Roots, Irish Lives Remembered, & British Connections. I have organised and chaired the DNA Lectures at Genetic Genealogy Ireland since 2013 and have assisted with the organising and chairing of the DNA Lectures at Who Do You Think You Are in the UK since 2014. I speak on DNA for Family History Societies across the UK and Ireland and have spoken at international conferences in Los Angeles, Washington, Houston, Toronto & Ottawa. Next year I have a speaking tour of the Eastern US (Boston & Philadelphia) as well as New Zealand & Australia. I have delivered a very successful week-long workshop on DNA in Salt Lake City and plan to return there to do the same in 2019. I run an online course on DNA at regular intervals during the year. My passion projects include helping adoptees in Ireland to reconnect with their biological families via DNA. I co-ordinated a Commentary on the proposed Adoption Bill (Information & Tracing) 2016 and have liaised with the Department of Child and Youth Affairs in this regard. I am also passionate about helping to identify the remains of the 338,000 soldiers from World War One who are still missing-in-action. Each year 30-60 of them are discovered on the Western Front during routine farm work and, without DNA testing, most would remain unidentified. GGI2018 Belfast: Using Triangulation to break through your Irish Brick Wall - I will explore how Brick Walls can be broken down by the use of Triangulation with your autosomal DNA results. There are various ways in which triangulation can be used and these will be explored in this presentation. I recently achieved a major break through and pushed my Morgan line back to Limerick in the 1600s and Wales in the 1400s (potentially). It would also appear that I am related to some rather famous people. GGI2017: I have two presentations. The first explores how to interpret your Y-DNA results and discusses not just your personal Y-DNA Results pages, but also what your results mean in the context of a surname project and a haplogroup project. How these various projects can help inform your own personal genealogy will be explained. The second presentation explores the use of Triangulation with your autosomal DNA results. This is a relatively simple technique that can have a major impact on your genealogical research. There are various ways in which triangulation can be used and these will be explored in this presentation. GGI2016: I have two presentations this year. The first deals with World War One. Over 330,000 WWI soldiers are still missing-in-action on the Western Front. Every year 30-60 soldiers (many of them Irish) are found during routine farm work. This presentation discusses the identification process using examples from recent finds (such as Fromelles) and how you can help the process to identify your own war dead relatives. My second talk explores the challenges involved in researching the DNA of Irish Clans. I set out to connect my Gleeson “Clan” to the Ancient Irish Annals, only to be confronted with a variety of different hurdles and challenges. The same obstacles are likely to be encountered by many genealogists and DNA Project Administrators attempting to achieve the same objective and I will discuss some hints and tips on how to approach these genealogical conundrums. GGI2014: My first presentation is "Which DNA test is best for you?" and I will give a detailed description of the 3 main types of DNA test.That way you can decide for yourself which test might be best to help answer the questions you have relating to your own family tree research. GGI2013: Many people are interested in doing a DNA test but are not sure what tests are available or what the difference is between the various tests, so my first presentation is entitled "What DNA test is best for you?" and I will give a detailed description of the 3 main types of DNA test. I will cover what each test will tell you, and equally as important, what each test won't tell you. That way you can decide for yourself which test might be best to help answer the questions you have relating to your own family tree research. The presentation will cover how the Y-DNA test can tell you about your deep ancestry, and connect you with relatives, on your direct MALE line (your father's father's father's line). I'll also discuss how Y-DNA is particularly useful for surname projects (because like the surname, the Y-DNA is passed down from father to son in a direct male line). Similarly, I'll discuss how the mitochondrial DNA test can inform you about your deep ancestry, and connect you with relatives, on your direct FEMALE line (your mother's mother's mother's line). Lastly, I will talk about the autosomal DNA test and how it can help you connect with more recent cousins (on all your ancestral lines) who share a common ancestor with you in the last 200 years or so. All of the tests will be illustrated with examples, mainly from Irish projects. 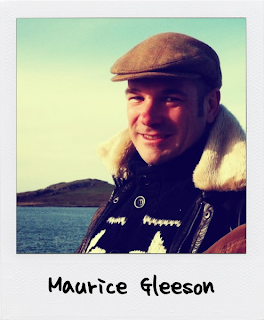 GGI2013: "Autosomal DNA, Adoptees, and finding long lost Irish relatives". This talk will focus almost exclusively on autosomal DNA and how to use it to find long lost cousins. I've used it in my own family tree to find second cousins of my father's who live in Australia. We wouldn't have been able to establish this link without the DNA test. I'll also be explaining a step-by-step approach to assessing your "matches" on the autosomal DNA test and how to narrow down the number of potential candidates for the common ancestor that you share with each match. In this regard, the adoption community in the US have developed some amazing tools to help with this process and I will be looking at the successes they have had reuniting adoptees with their biological families and how the methodology can be applied to ordinary family tree research (with a particular focus on its potential usefulness from an Irish perspective). Where can people get more information about you and your research interests? You can watch a video of previous presentations by simply clicking on the image below. To watch it in Full Screen, click on the "square" icon in the bottom right of the screen.